I cannot believe how time has flown; advent has started with the big countdown to Christmas well underway. My time here at Under Construction has gone from strength to strength, I feel so privileged to be part of such an enthusiastic, passionate and caring team. 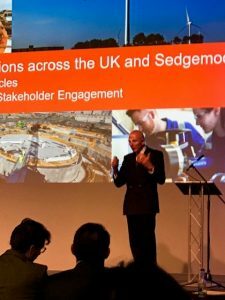 It amazes me every day, when I see the developments taking place in and around Sedgemoor; it really is a place of opportunity, innovation and energy. 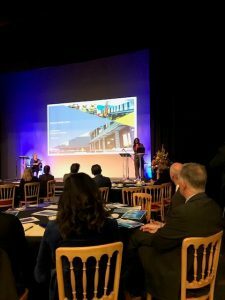 Last Friday I, along with over 120 other Delegates attended the Sedgemoor Economic Development Business Conference at the McMillan Theatre in Bridgwater. The focus being Challenging Perceptions. We were warmly welcomed by Cllr Anne Fraser, followed by the formal opening by Lord Triesman. The atmosphere was fantastic, a very formal round table event, which, prior to this job, I would have felt so nervous in attending, worrying if I would fit in, but now I can honestly say that I felt like I did. The last 9 months I have felt my confidence slowly grow and I no longer dread meeting people who I feel are more important than me, in fact quite the opposite I now look at people differently; we are all of equal importance just in different ways. 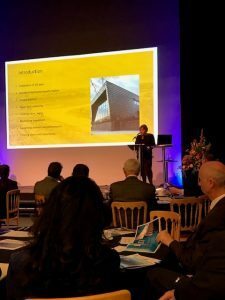 The Conference continued with an excellent presentation from Claire Pearce, I felt an enormous sense of pride, being part of her team. When Claire talked about Under Construction, and the fabulous work being done, I looked at my boss Caroline, and I could see how proud she was, it was a lovely feeling. 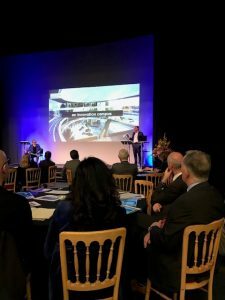 Martin Bellamy the co-founder of Salamanca Group was up next with some exciting news about our Enterprise Zone and what the future holds for us there. 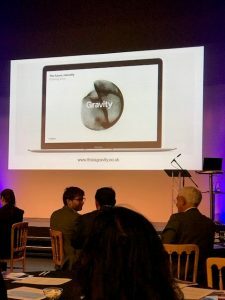 He announced the new branding for the project which will be known as “Gravity”. The area of land being developed is bigger than HPC and will encourage high-end jobs with the pay to match. One of my favourite speeches of the day was from Brandie Deignan. Brandie is managing director of the franchising division of the UK’s fastest growing hospitality business, Black and White Hospitality. The company has a reputation for converting non-profitable hotel dining spaces into busy revenue generating restaurants, working in partnership with major shareholder Marco Pierre White – the youngest person to gain three Michelin stars. We are very fortunate to have one of these restaurants in the new Mercure Hotel in Bridgwater. The whole conference was very informative and thought provoking. The achievements of just one team from Sedgemoor District Council are outstanding. We really do work with such caring passionate and high achieving people that make Sedgemoor such a wonderful place of opportunities and innovation.